Today, Wellington city’s trolley bus service is unique in New Zealand. 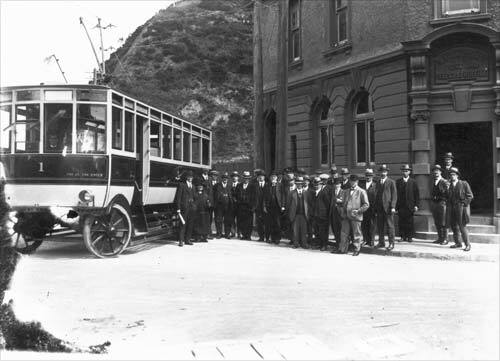 In 1924 the service began between Thorndon and Kaiwharawhara – this is the first bus, outside the Kaiwharawhara post office. The trolley buses still have a strong following, and the public have blocked attempts to replace them with diesel buses.